Anyone can dry their hair with a blow-drier at home. You don’t even need a round brush—a tool less user-friendly than Ikea furniture instructions or your 2016 tax forms—to pull that off. But making it look as good as the blow out you’d get at the salon? Well, that’s an entirely different story. Learning how to whip yourself up a halfway decent blowout is a priceless skill; it’s way more cost-effective (and realistic) than visiting the salon every time you wash your hair. We chatted with seasoned pros to find out their best tips and product suggestions for making your at-home blow-dry that much better. 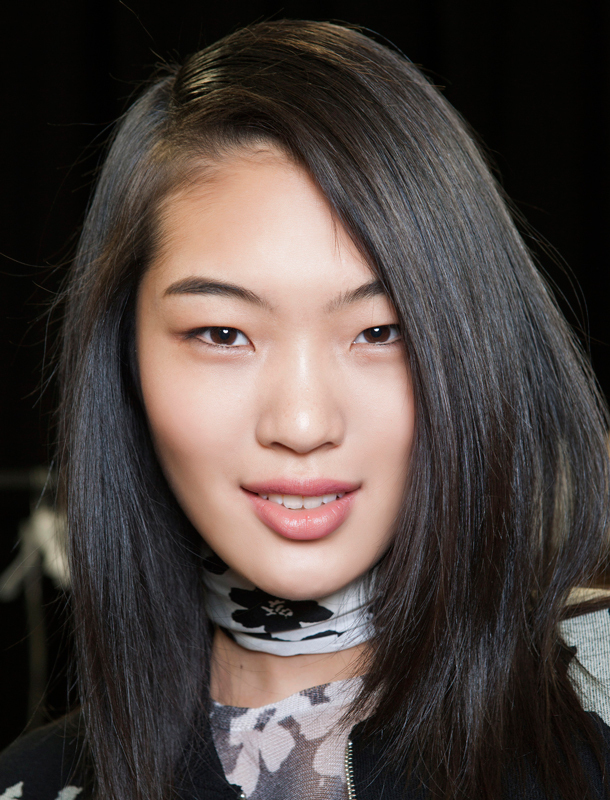 Praise the hair gods: the perfect blowout isn’t all about the round brush. The brush you choose to blow-dry your hair with can yield completely different results, according to Edward Tricomi, Master Stylist and co-founder of the Warren-Tricomi Salons. If you want a straight look, Tricomi suggests using a Mason Pearson brush. While they’re pricey, he says the brush’s nylon and boar’s hair bristles will help make your hair shiny. If the ultimate goal is smoothness, he suggests grabbing a natural boar’s hair round brush because it adds body. And for curls, he recommends a metal round brush. “This helps set the hair and creates the perfect curls you’re looking for,” explains Tricomi. Those accessories that come with your blow-dryer do have a purpose, and Nexxus New York salon care celebrity stylist Lona Vigi highly suggests putting the nozzle to use. “A nozzle is so important for a smooth blow out because it directs the air to exactly where you want it,” notes Vigi. This will help you reduce hair damage, and it’ll still only take about 20 minutes to finish the blowout. Suave celebrity stylist Marcus Francis suggests applying a hair oil like Suave Professionals Coconut Oil Infusion Damage Repair Oil Treatment from mid-shaft to ends to minimize frizz and letting your hair hair-dry until it’s about 60 percent dry. This technique is one of Tricomi’s best beauty secrets. After blow-drying your hair, pull it into a high ponytail and split the ponytail into four different sections. “Take a curling iron and curl each of the four sections into different directions, pinning them down as you go along,” he says. Each section should sit for five minutes. When you take out the ponytail, he says you’ll have perfect curls—all in under ten minutes.